I would love to meet you face to face. Come and join me at an event so we can connect! Calling all heart centered Women of Faith, Influencers, Change Agents, Entrepreneurs, Biz Owners, Thought Leaders, Speakers, Coaches and Authors - It's time for you to be refreshed and revitalized. As heart centered servants, we are constantly pouring into others, sometimes at our own expense. Now its time to be poured into. The Oasis is your safe place of refuge to be replenished both spiritually and mentally. 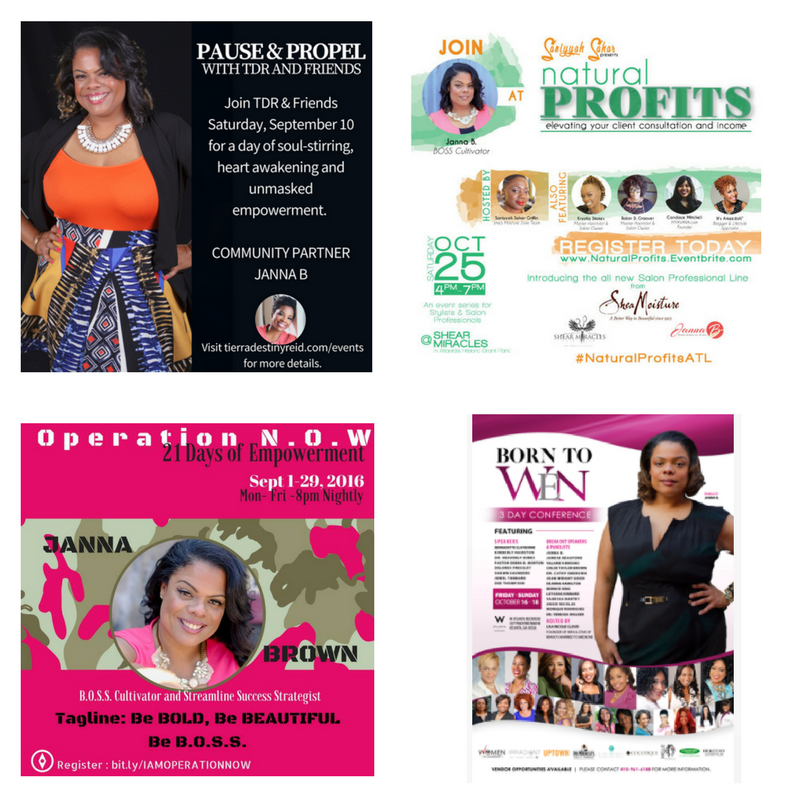 Join me #JannaB the #BOSSCultivator on Nov. 5th from 1-5pm for #theoasisexperienceatl.